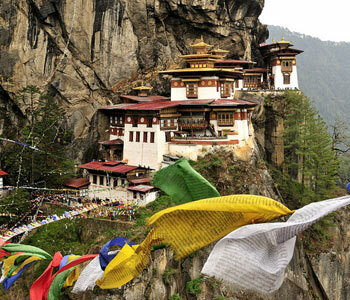 This section highlights some unusual facts about little Kingdom of Bhutan. The only nation in Asia to focus more on Gross National Happiness is the land of monasteries, treks, mountains and unique form of lifestyle and culture. Check out some useful facts and figures about Bhutan. From an absolute monarchy to a multi-party democracy, Bhutan has transformed its self into a democratic nation. The country witnessed its first democratic elections in year 2007. The relational ship of Bhutan with India and other nations dates back to more than 100 years ago. Bhutan and Britain signed a mutual consent treaty way back in 1865, under which both countries agreed on certain terms and conditions. Bhutan receives an annual subsidy from the Britain and in return offered a piece of their land to the Britain. This role is assumed by India after Independence in 1947. In year 1974, UN or United Nations accepted Bhutan as a country. Bhutan is also a member of SAARC (South Asian Association for Regional Cooperation). In Sanskrit language, the meaning of Bhutan means �the end of Tibet,� or �highlands�. The tiny kingdom of Bhutan witnesses a descent growth in its population figures. As of 2014, Total population of the country is estimated to be 760,000. The capital city of Thimphu is most densely populated city with a population of over 100000 people. Thimphu is the only capital city in the world without traffic lights. Bhutan is a remote country with limited excess to all the modern amenities and services. Till 1960, there were no roads, electricity, automobiles and postal system in Bhutan. People were only able to excess TV or Internet in 1999. Bhutanese language known as Dzongkha is widely spoken along with English and Hindi. Dzongkha is the official language of Bhutan. Bhutan being a remote country has a descent literacy rate, Almost 55% of adults and 77% of youth in Bhutan are literate. 1974 was a landmark year in tourism industry of Bhutan as first foreign tourist landed in the country. Bhutan is a land of rough mountains and valleys; Gangkhar Puensum in Bhutan is the world�s highest unclimbed peak. The only country in the world which sinks more carbon is the Kingdom of Bhutan, that is; it absorbs more carbon dioxide than it gives out. The biggest export of Bhutan hydro-electrical power, 70% of the land in Bhutan is forested. It�s in the Bhutan�s constitution to keep 60% of its land forested. The Economy of this little Kingdom depends largely on Agriculture, which is considered to be the main occupation of the people. Rather than using the GDP as an economic index, the country follows the unique principle of Gross National Happiness. From 1999, use of Plastic bags is not allowed in Bhutan, it is strictly banned by the Royal Government. The eco friendly destination of Bhutan is a nature�s delight as Tobacco is banned in the country since 2004. The national animal of Bhutan is �takin,� - a goat-antelope. Archery is very popular in Kingdom of Bhutan and has been officially declared as national sport of the country. Bhutanese worship Phalluses as a sign of fertility and good luck, this tradition has been carried over in Bhutan for several centuries.